The summer lineup includes one glitter top coat, two glitter crellys in a white base and six bright, bold polishes, two in a matte finish. 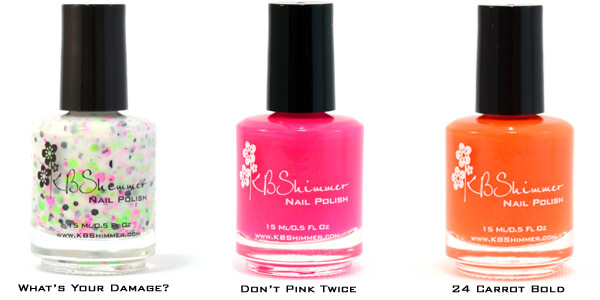 KBShimmer will also be expanding their nail care line to include two scented cuticle oils and liquid nail prep. “Our new line was created to play off the bolder palette of summer, some inspired by the 80’s and 90s, but also to celebrate the patriotic season. One of our polishes plays off the color of the year, Emerald Green, and will ease people into the summer while two others were inspired by the fall 2013 Pantone colors Koi and Vivacious. Both will make for an easy transition through the summer and into the fall. We are also excited to unveil two scented cuticle oils in an easy-applicator pen. We hope to inspire and motivate people to go out in the sun and show off their nails!” says Rose. 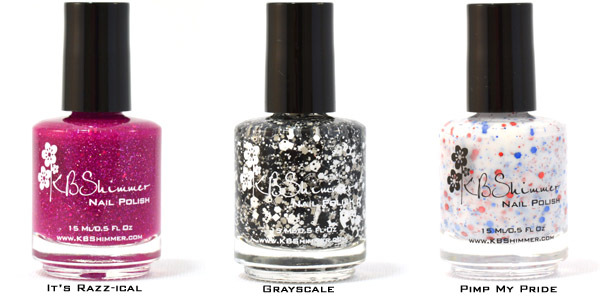 Grayscale – Black, White, and Gray glitters are suspended in a clear base. Circles, hexes, rectangles, and squares in so many sizes complete this glitter top coat. 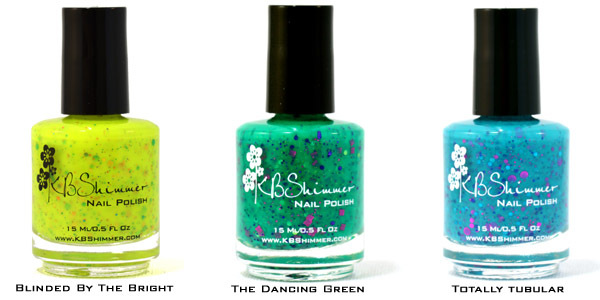 If you would like more information about KBShimmer, contact Christy Rose by emailing sales@kbshimmer.com or visting Http://www.KBShimmer.com.